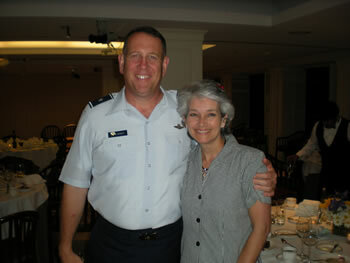 This week’s troop dinner was hosted and sponsored by the American Enterprise Institute and its President Chris DeMuth. Paul Wolfowitz is a visiting scholar at AEI. When he mentioned the dinner to Mr. DeMuth, he immediately wanted to have the troops at AEI in the executive dining room. That happened on June 27, 2008. The troops and the AEI personnel in attendance had a great time. The food and service was terrific. The AEI resident scholars and visiting scholars in attendance had a good time talking to the troops. President Chris DuMuth with Sgt Ron Frye. Sgt Frye was in a coma for a couple years and is still confined to the wheel chair for now. They had a good time talking to each other. 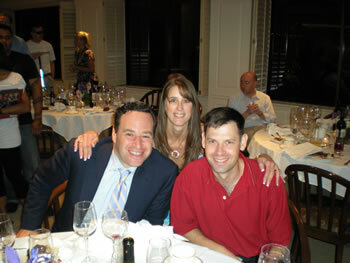 Resident Scholar David Frum had a good time talking to Lisa Lourake and Bruce Gannaway. Lisa is on the Aleethia board of directors. Bruce lost his leg in Iraq in 2007. He recovery has been terrific. BG Bill Hyatt and his wife came in from the Pentagon to dine with the troops. 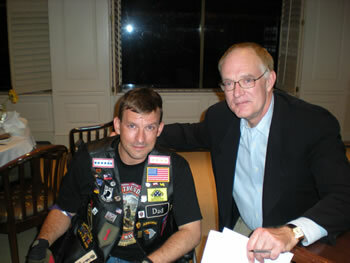 Gen Hyatt is the Senior Military Advisor to the Deputy Secretary of Defense. Resident Scholars and troops had a great time. 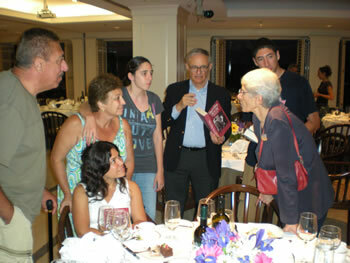 Dr. Kass autographed books for the troops.